Go to Pages > Add New to create a regular page that you can add the feature to. That's it! 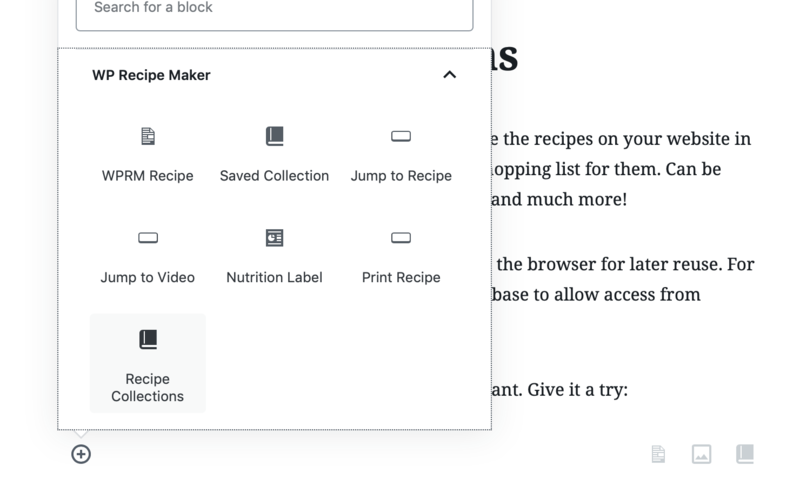 The Recipe Collections feature will get displayed in the same location as that block.